Recover your assets. Get Paid. We're your one stop shop for office liquidation, office moving, e-waste recycling, certified destruction and asset recovery. We'll also pay you for your unused assets, including: furniture, electronics, computers and more. We clean it out. You get paid! With our office liquidation service, you get paid! This covers all electronics, material handling, office furniture and more. Good for your bottom line and the environment! We strictly adhere to the Environmental Protection Agency's e-waste guidelines. Receive top dollar with our IT Asset Disposition service. This includes laptops, desktops, servers, computer parts and more. 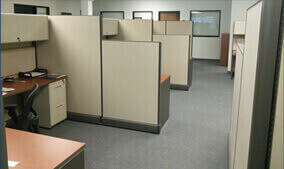 Move your office space to a new location on time. We can also help you dispose of your excess inventory, overstock or e-waste during your office move. Got returned goods, manufacturing rejects, or surplus? Call us! We ensure secure, eco-friendly destruction of propriety designs and products. Send your electronics, circuit boards, and more our way. We have over 30 years of experience reclaiming precious metals from e-waste. We clean it out. You get paid! 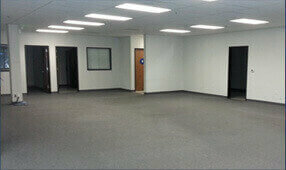 We will make your office space ready to turn over to your landlord. From start to finish, we're your full service office and computer liquidation company. I just wanted to thank you and your team for the excellent job you have done. None of the other office furniture liquidation companies responded to me nearly as quickly as you guys did, AND you guys were on the site only 2 hours later! With our lease ending in 2 days, you guys held your word and were able to stick to our timeline which otherwise would have cost us money for a “late check-out” so to speak. I will definitely be recommending your services to anyone in a similar position.